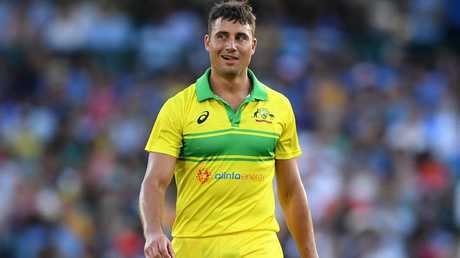 Marcus Stoinis has been added to the Australian squad for the final Test against Sri Lanka leaving Mitchell Marsh's Ashes hopes hanging by a thread. Selectors moved swiftly following Saturday night's emphatic victory to omit unused opener Matt Renshaw for Canberra and call in an all-rounder to cover the prospect that the Manuka Oval deck could be deathly flat and worthy of a seamer playing in the top six. It's a significant pre-Ashes development that Marsh has been overlooked as the all-round option in favour of Shane Warne favourite, Stoinis. This is the last Test match before the Ashes series and if Stoinis gets an opportunity to debut against a battling Sri Lankan side he could book his ticket to face England - where it appears almost certain Australia would want to take an all-rounder. Conditions might have to be extremely flat for selectors to change a winning team at Manuka, but even if Stoinis doesn't debut this time, Marsh will now have to do something big in the final Sheffield Shield rounds for Western Australia to leapfrog his State teammates. Selectors have run out of patience with the dumped vice-captain and are demanding he goes back and finds form before he's given another chance. Stoinis averages just 33 in first-class cricket but has an excellent one-day record and has made back-to-back half centuries in his past two Big Bash games. Marcus Stoinis could come into play if the deck is flat in Canberra. Warne believes Stoinis has a presence about him and has long called for his inclusion. If Australia are worried about a flat wicket, it may put Usman Khawaja under the most pressure to hold his spot for Canberra. Stoinis was called into the Test squad in India in 2017 but he didn't play. 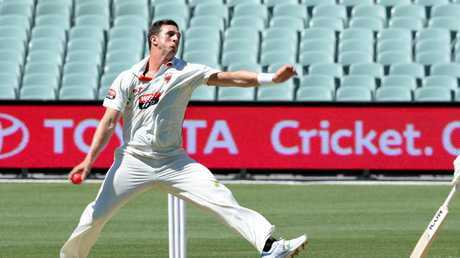 "We made the decision to add Marcus to give us the flexibility to play an all-rounder in the event the conditions require an extra bowling option in the line-up," said National Selector, Trevor Hohns. "Marcus has been a consistent performer this season, he has displayed strong all-round form in first-class cricket and continued that form into the Australian ODI series against India." Renshaw has been afforded the chance to rejoin the Brisbane Heat in the Big Bash. Meanwhile, Tim Paine can sense Australia's Ashes blueprint is taking shape and acknowledges the need to respect local conditions. There has been a feeling during Australia's last four unsuccessful tours of England that the tourists have failed to defer to local conditions by playing an English-style seam or swing bowler. 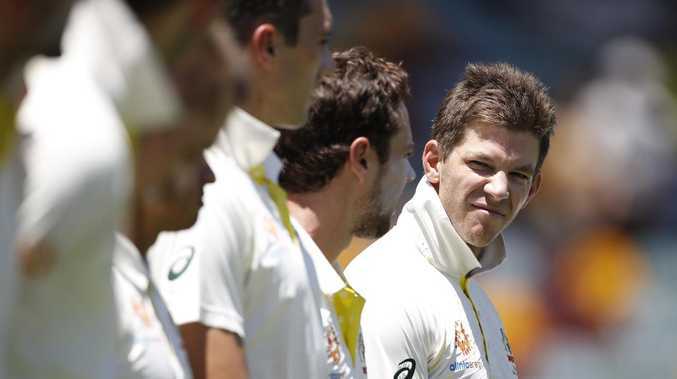 Australia captain Paine hinted this issue could be addressed when the Ashes touring party is named later in the year. "You have got to have some options to adapt to different conditions,'' Paine said after Australia's thumping of Sri Lanka at the Gabba. "What we are seeing through the last 12 months is we are developing depth in all areas. When we go to England there are guys that are bowling well; (Chris) Tremain and (Dan) Worrell's and Siddle's who can swing the ball to complement Hazlewood, Cummins, Starc and Jhye Richardson. "We've got plenty of options there. With our batting when Smith and Warner are back on the scene and a Bancroft, all of a sudden you've got a number of batters. 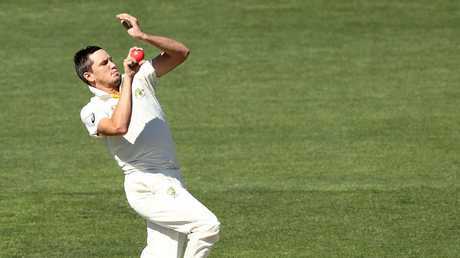 There have been regrets among many observers that the Gabba failed to get a Test in the Indian series though Paine refused to declare the home had missed a trick despite the fact that the bouncy wicket brought Australia's bowling attack to life. "We would have had to have faced the Indian attack on that wicket as well which would not have been easy. It is important we start to play more consistently regardless of the surface we play on.